In January 2014, The Department of Veteran Affairs (VA), in conjunction with pet medical coverage provider Trupanion, launched the U.S. Veteran Service Dog Program. After a Veteran enrolls in the U.S. Veteran Service Dog Program, the program allows U.S. Veterans with certified service dogs unlimited access to veterinary care, and enables Trupanion to pay 100% of eligible veterinary costs; there are only 9 costs not covered, which are described below. Today’s Veterinary Practice spoke with Gina Jackson, a national spokesperson with the Department of Veteran Affairs, to gather further details on this new program. I am very excited about this new program. Most Veterans that need these animals to assist us in our daily living do not have access to the funds necessary to keep them at the level of health required for longevity. As with human beings, those with insurance and the ability to pay health care costs are more likely to visit a doctor more often, which prevents major health problems from getting out of control. An ounce of prevention is worth a pound of cure. Veterinarians who support this program are not only helping the dogs, but are giving back something to the Veterans who sacrificed so much for all of the people of this great nation. Can you describe the arrangement between the VA and Trupanion? 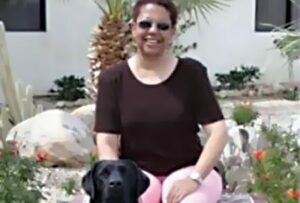 The VA has a 2-year contract with Trupanion in which Trupanion pays the veterinary care expenses for guide and service dogs as required in regulation (38 CFR 17.148) published in September 2012. Trupanion will cover ALL wellness and sick care for guide and service dogs approved by the VA as medically necessary for our Veterans, and then pay veterinarians directly. What types of guide and service dogs does this program cover? Service dogs for deafness (ie, hearing dogs) and mobility disorders (ie, mobility dogs). The VA does not recognize other animals as service animals, and the coverage does not apply to dogs who have served as military working dogs or comfort or companion animals (pets). Do mental health service dogs qualify for the program? Not yet. The VA does not disagree with some subjective accounts that mental health service dogs have improved certain individual’s quality of life, but we have not yet determined that these dogs provide a medical benefit to Veterans with mental illness. To evaluate whether service dogs are effective therapy for such illnesses, the VA is undertaking a study that will specifically focus on the benefit of service dogs for Veterans with post-traumatic stress disorder. Are there limitations on what medical care is covered, or a maximum dollar amount stipulated by the coverage? Do veterinarians need to be registered to participate in this program? Veterinarians are required to be medically licensed in order to receive payment. Trupanion maintains a current listing of dogs that are covered by this program (name and Veteran owner), and enrolled Veterans can visit any licensed veterinarian who provides care for an enrolled dog—in accordance with provisions of the contract (see previous question). Trupanion will reimburse the owner, if payment was made at time of care, or the veterinarian, if a bill is submitted to Trupanion. For further information on the program as well as reimbursement, visit trupanion.com/veteransupport.